← Fantastic Friday: Prester who? Rewatching 21 Jump Street! 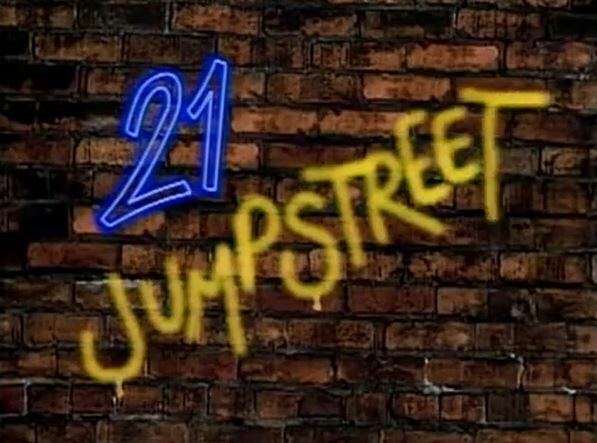 In episode 7, “Gotta Finish The Riff,” Captain Fuller joins the cast, marking this as the moment when 21 Jump Street truly became 21 JUMP STREET. What’s goin’ down: We begin on a morose note, at Captain Jenko’s funeral. Turns out he was killed randomly by a drunk driver sometime between this episode and the last. The new boss is Captain Fuller (Stephen Williams), who has big, controversial ideas about how Jump Street should be run. There’s also the case of the week – a principal of a tough school in gang territory who’s been getting death threats. Meet the new boss, (not) the same as the old boss. Here’s Hanson: When the gun-toting gang members take the entire school hostage and seal off the exits, it’s up to Hanson to do the Die Hard thing and save the day. 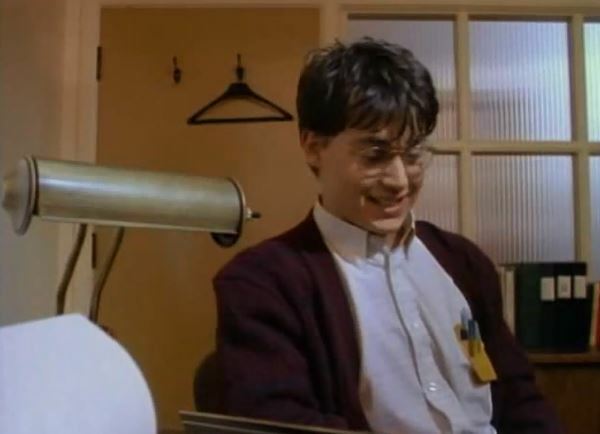 Penhall’s prerogatives: With Jenko gone, somehow it now falls to Penhall to be the voice of Zen, as he encourages Hanson to get along with Fuller, saying, “Remember, we’re all human beings.” He later makes with the comic relief during the hostage crisis when he poses as a wisecracking pizza delivery guy. Undercover blues: Going undercover in the school with gang troubles, Hanson’s persona is not a tough kid, but a nerdy computer hacker – complete with pocket protector. My other pocket protector is a badge. Goin’ to the chapel: Fuller’s first big change is to fill the Jump Street chapel with staff, so now there’s a ton of cops running around doing paperwork and whatnot. This includes a goofy guy who steals Penhall’s favorite yo-yo. Who is this person? Torn from today’s headlines: Gang violence! These fictional gang-bangers call themselves the “Bloods,” which is also the name of an alleged real-life gang operating out of Los Angeles for decades. Trivia Time: The ruthless gang leader is played by Blair Underwood of L.A. Law. Robert Picardo of Star Trek Voyager shows up as a hostage negotiator. Jumpin’ or not? Stephen Williams certainly knows how to make an entrance, and he brings just the right level of seriousness to this (let’s face it) goofy show. The school-under-siege plot might be a little hard to watch in the post-Columbine era, but it nonetheless gives the episode a blockbuster action movie feel. Also, even though I compared it to Die Hard above, this one aired in May 1987, more than a year before Die Hard debuted. 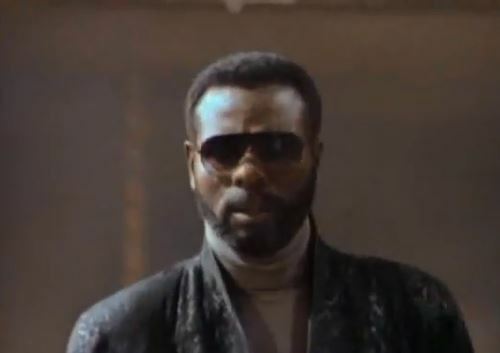 So, instead of being original, Die Hard is merely this episode, but set in a skyscraper. It’s jumpin’! Next week: Who’s a bad influence?